The comprehensive utilization of construction waste can not only realize the “reduction, resource and harmless treatment” of construction waste, but also reduce the impact on the environment, and if it is reduced and reused by scientific management and effective measures. Save a lot of construction funds and resources, and generate huge economic and social benefits. In order to solve the problem of construction waste on human beings, the professional disposal of construction waste equipment on the market is endless. 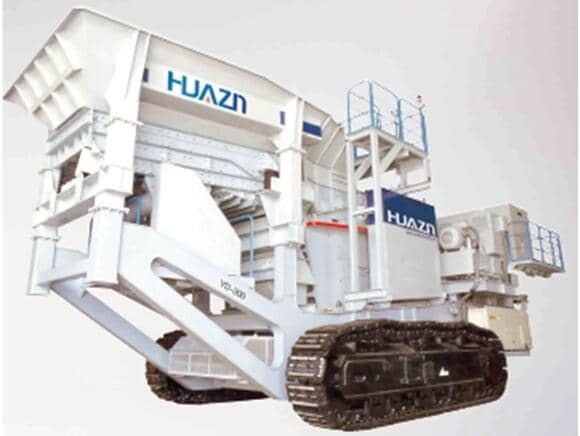 The crawler-type construction waste mobile crushing station has become the most mature technology in China with the highest sales volume and has multiple construction sites. The crawler-type construction waste mobile crushing station adopts the steel frame structure, electric control system and hydraulic system to ensure the reliability of on-site use and maintain good and continuous operation under the harsh operating conditions. The equipment is mainly used for the resource and harmless treatment of construction waste, and can also be used in road construction, ore mining and other fields. It effectively conserves natural resources, protects the ecological environment, and contributes to building a circular economy. The steel bars separated by the crawler-type construction waste mobile crushing station can be recycled and re-constructed after being recycled and concentrated; bricks, stones, concrete and other scraps can be replaced by sand and gravel after being crushed, used for masonry mortar, plastering mortar and concrete mat. Layers, etc., can also be used to make building blocks, such as blocks, paving bricks, grate bricks, lawn bricks, blind bricks, etc. Next Article: What Types of Mobile Crushing Stations are Included?